Got my free Kashi bar in my mailbox last night. 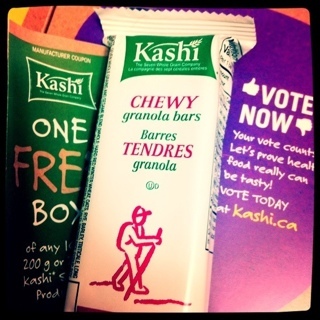 Was really excited to find a coupon in the box for a FREE box of Kashi Bars as well! I haven’t tried the bar yet but I have been really happy with all their other products I have tried. This came from the Kashi website but it is no longer available. This entry was posted in coupons, samples and tagged coupons, free samples, samples on November 8, 2011 by Courtnie.